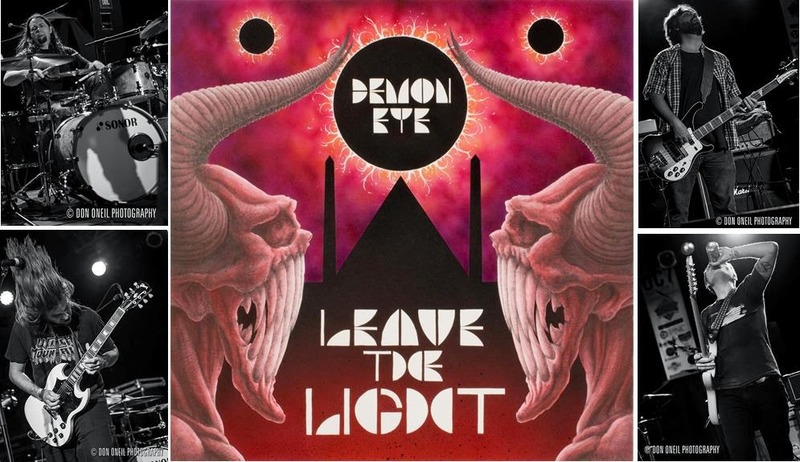 North Carolina doom rockers, DEMON EYE, have been leveling audiences in their home state for two years now. They’ve shared stages with The Sword, Corrosion of Conformity, Spirit Caravan and King’s X, and are finally hitting the road to play shows in Columbus, Chicago, and Detroit, returning home just in time for the HOPSCOTCH MUSIC FESTIVAL, where they will play alongside Witch Mountain and High on Fire. The band’s Soulseller Records debut, “LEAVE THE LIGHT,” is out now on CD and Vinyl. August 28 at Ace of Cups in Columbus, OH w/ Bridesmaid and Beggars. September 6 in Raleigh, NC at Hopscotch Music Festival w/ High on Fire, Witch Mountain, and Subrosa.